Ford of Europe's sales fell for the third-consecutive month as June volumes decreased by 8.3 percent to 118,800 units. After six months, the U.S. automaker's registrations were down 3.9 percent to 716,900 vehicles in the company's main 19 European markets. Ford said in a news conference Tuesday that it is sticking with its 2010 forecast for total industry sales of 14 million to 15 million vehicles in its main 19 European markets, down from 15.85 million last year. Ford of Europe head of sales and marketing Ingvar Sviggum told the conference that European sales are slowing due to the end of the scrapping programs launched in key markets last year. 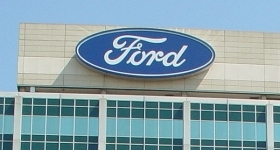 Those programs gave a huge boost to mass-market automakers such as Ford in the midst of the worst recession in decades. Sviggum also said that Ford's sales are declining because it refuses to use deep discounts to maintain volumes achieved last year. He said that since the scrapping programs ended in places such as Germany, Italy and the UK, some rivals have been offering discounts of 30 percent to 50 percent. Ford has said it is ready to sacrifice sales and market share in Europe to concentrate on profits. Ford of Europe reported a first-quarter pre-tax operating profit of $107 million, compared with a loss of $585 million a year ago. The automaker will report its second-quarter results later this month.